YOUR ELEARNING VIDEOS WILL CHANGE THE WORLD. Your mission and content will change the world! Your learners expect engaging eLearning video experiences. But you often don’t have the capacity or resources to make this a reality. That’s where Ninja Tropic comes in. Our professional eLearning animators master the latest/greatest tools/software and guarantee on time/budget delivery—without the sticker shock. Video isn’t the future of learning. It’s the present. In fact, most of your learners prefer to learn with video—period. Are you giving learners what they want, or greeting them with unfriendly walls of text? Give learners the content they need in the format they love. Don’t settle for less. You deserve to deliver awesome educational videos to your learners. You focus on your customers. We’ll handle the heavy lifting. 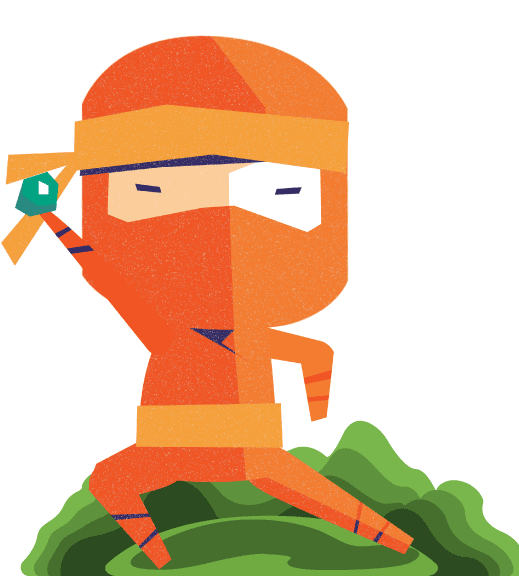 No matter your size, Ninja Tropic has a solution that scales with your business. You don’t need to settle for click through powerpoint slide courses to monetize your content. These formats give your learners a poor experience. The result? Low finish rates and dissatisfied customers. Your customers want interactive video courses that pique their interest. Although eLearning video production was once expensive and time-consuming, that’s no longer the case. Our experienced team of animators works tirelessly to craft high quality videos on your timeline. Learning & development teams play a huge part in growing the business. Sometimes it makes sense to invest top dollar in new tools, training an in house team and pay for time (not results). But that’s not the case for your eLearning videos. You don’t have to drain your bank account for one sixty-second video. You also don’t have to partner with unreliable or unskilled freelancers to get the job done. Why partner with a freelancer when you could have an entire team at your disposal to scale quickly? Say adios to low-quality freelancers and hello to real results. for a dedicated, professional team with freelancer rates. 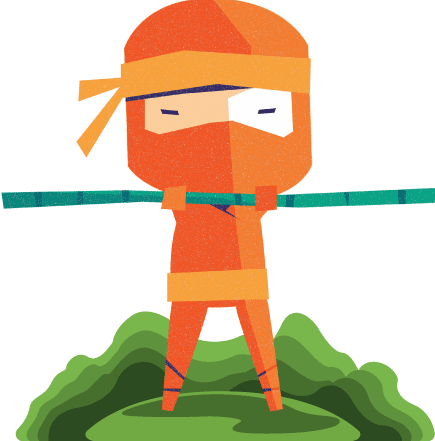 Ninja Tropic gives you end to end support for all things eLearning and animation. Stress no more over deadlines, quality, or timing. 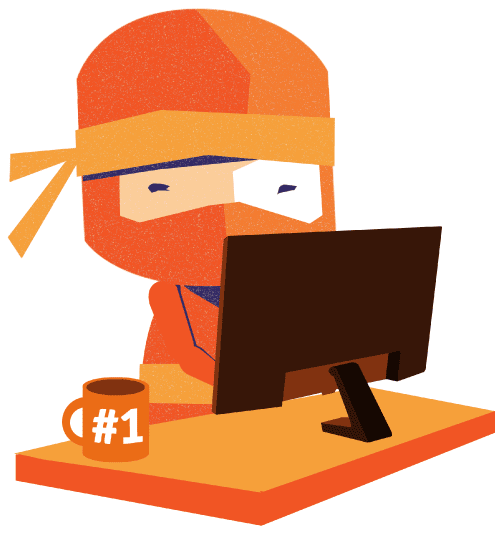 Ninja Tropic gets your eLearning video to the finish line, on budget with zero fuss. Plus, we’re just fun to work with! Hey, remember those other eLearning video companies that want to charge you an arm and a leg for one video? We aren’t them. Ninja Tropic specializes in mass production for eLearning videos. Crank out videos monthly, weekly or even daily with our streamlined, efficient team. We obsess over eLearning in particular. It’s our mission to improve the eLearning industry, because we really believe that animation is the future of learning. Put simply, Ninja Tropic is full of video nerds. Learning and development teams are the backbone of our digital economy. Whether your content grows corporate professionals or trains curious side-hustlers, we want to be there for you. When your learners grow, the world changes for the better. Let us be part of your success story. We will own your mission. This is my second video with the Ninja team and once again they delivered with 5 stars! Now we're working on 3 more videos! BOOM. It was a pleasure working with Erick and his team. They hit all of our deadlines and produced top quality work. I will not hesitate to work with him again! Erick is a true professional. In addition to providing me with exactly the sort of polished video I was looking for, his communication throughout the process was clear, concise, and accurate. These guys are good, they take time to listen and make sure you are happy with their work. Hire them and you will not be disappointed. Erick and his team are phenomenal to work with. From the beginning Erick set up a phone call and presentation to let me know exactly the steps they were doing to creating these videos in 3D for sign language. Erick is an exceptional thought partner and production partner who brings unrivaled enthusiasm and expertise. He brings a systematic framework for the challenge at hand as well as a remarkable digital toolkit. Erick and Carlos at Ninjatropic have been instrumental in our success launching our social-emotional e-learning curriculum for Special Education students. We had little to no knowledge of video editing and Learning Management Systems. 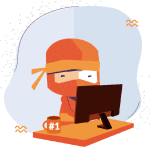 NOT SURE IF NINJA TROPIC IS RIGHT FOR YOUR PROJECT? NO PROBLEM! Get a taste of our quality work with a free sample. We can match any style. Free samples are delivered as early as two weeks after storyboard or script approval.